Calling the company a branded play on dairy segment, analysts at Prabhudas Lilladher have a subscribe recommendation on Parag Milk IPO. “The stock at 37x FY16E would offer limited listing gains. Long‐term prospects look encouraging with scope of decent returns over the coming 2‐3 years,” said the brokerage house in its balancing view. Phillip Capital has recommended investors to subscribe to the public offer while defending high valuations. “The stock is slightly expensive to some peers but the higher valuation is justified by lower share of institutional sales, stronger brands, distribution reach, and strong execution history. Also, we believe that the lower RoE/RoCE for dairy players vs. FMCG companies is compensated by 35% discount to FMCG sector multiple and higher growth and premiumisation prospects compared to penetrated FMCG categories,” said its IPO note. On the other hand, analysts at Elite Wealth find Parag Milk IPO priced at a discount to peers and thus are advising to invest. “The EPS was Rs 3.81 for the year ended March 2015 on consolidated basis. At the asking price the PE works out to be 60x. On comparison with some listed peers within same industry, the issue is available at discount. Hence, we recommend to subscribe the issue for medium to long term investment,” said the Mumbai-based brokerage house in its recommendation. 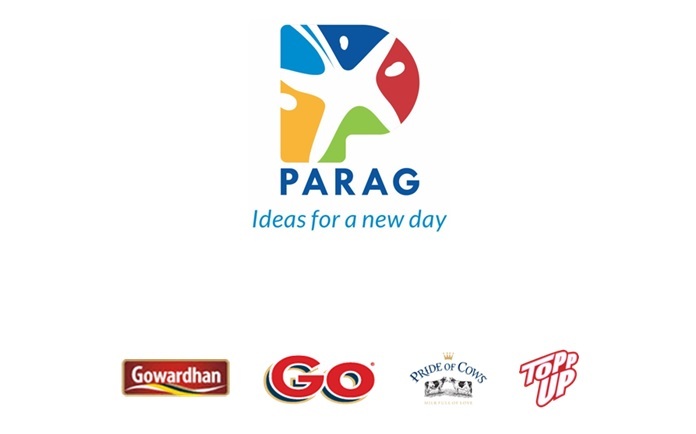 KRChoksey is advising investors to subscribe to Parag Milk Foods IPO for long term citing integrated business model with diversified product portfolio and customer base. SMC Global Securities has given the IPO two stars out of five which corresponds to a neutral rating. SMC’s research note highlights that 55.17% of the promoter shareholding is pledged. Analysts at Angel Broking are advising clients to invest for long term. “At the upper end of the issue price band, the company is seeking a P/E multiple of 37.6x its 9MFY2016 annualized earnings based on preissue outstanding shares. This is lower than its close peer Prabhat Dairy’s valuation, which is trading at a higher multiple of 49.8x its 9MFY2016 annualized earnings (despite of PMFL’s better return ratios). Further, retail investors will be given a discount of `12/share. Considering the company has a diversified product basket, strong brands and wide distribution network, we believe that the company will continue to perform well on both the top-line and the bottom-line front. Hence we recommend investors to Subscribe to the issue from a longer term perspective,” said Angel’s research note. The long term view of analysts is in line with our neutral view on the IPO. While Parag Milk is slightly better with its branded play as opposed to Prabhat Dairy, similarity in profit margins offsets this positive. Clearly, Parag Milk IPO is a long term story but then, investors have a multitude of stocks available for long term. All ratings subscribe? No one has guts to say this IPO should be avoided.